Born on June 14th, 1958 (Flag Day), I was given my first shortware receiver at the age of 8 for christmas, I have been a licensed amateur since 1979, first as a Novice working 80/40/15 and 10 CW. Next as a Technician that fell in love with the wonderfully exciting 6 meter band (SMIRK #4544) and later satellites and packet. Then as General and finally the world of 20 meters, then to Advanced to get to the real DX and currently holding an Extra class license. Along the way I spent 9 years being rewarded by the privillage of operating as Navy MARS station providing a channel of communications to our service personnel and their families and friends both stateside and overseas until 1990 when my carreer and family obligations rquired me to take a break from MARS. I resumed MARS activities in 2003 with Army MARS in support of the OMARC MARS operation and although I have provided support in a number of areas, my main contribution has been with the MARS-ALE software development project. I resigned from Chief Army MARS staff in 2007 and transferred to Navy Marine Corp MARS where I started my MARS affiliation back in 1981. At present I am on Chief Navy MARS staff where I continue my ALE related MARS activities. 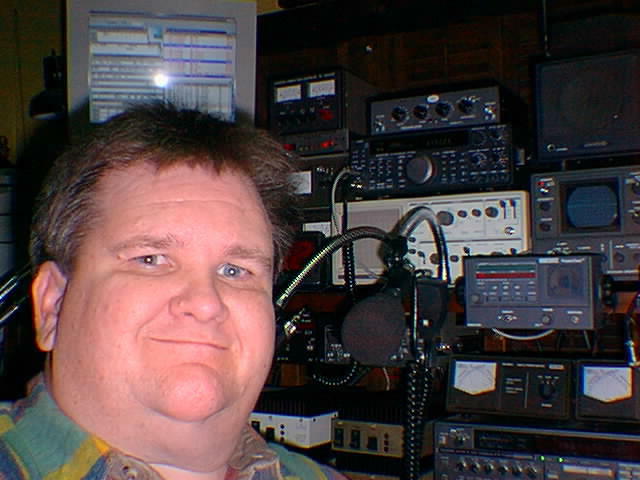 I am a member of the ARRL since 1979 and I served as an ARRL VEC Volunteer Examiner and ARRL Auxiliary Official Observer station in NNJ and chairman of the Monmouth County Local Interference Committee (MCLIC). I am a member Ocean-Monmouth Amateur Radio Club, Inc. (OMARC) since 1990. I was an OMARC Board member from 1992 through 1999, holding the positions of Membership Chairman, Club Secretary, Vice Treasurer and Vice President. Currently I am the OMARC Membership Chairmain, Special Events Committee Chairman, Technical Committee Members, Web Master and served on the Board of Directors as the Club Secretary from 2001 until 2008 when I relocated to NC. I am a founding member (AERIALS Inc.) and since 2002 I have held the board position of "Club Engineer". For a number of years I supported MetroCor Inc. as their volunteer Technical Investigator for CNJ and as their Band Coordinator for 10 meters and 6 meters. Previously I served under Don VanBerg, W2GEZ/SK on NNJ sub council adjunct to Tri-State Amateur Repeater Council (TSARC) back in the early/mid 1990's for frequency coordination issues within New Jersey in a failed attempt help keep TSARC in place to serve the Amateur Repeater community in New Jersey. I am driven to be creative, be it software, hardware, systems or something else, I am just driven to learn and development in areas that are of interest to me both personally and professionally. In my professional career I have spent over 20 years in botht the DoD and Commercial arena designing Communications and Automated Test Systems prior to my transition to CAD EDA software tool sales and support and I am once again developing software that involves radio and communications. In the Amateur radio software arena I have developed or have under development a number of applications, some of what have faded into obsolecense. The MS-Windows based SkyWarn/2001 package for the Peet Bros. home weather stations and the the MS-Windows based Sight It! Terrain Analysis that uses standard 1 Degree and 7.5 minute USGS Digitial Elevation models were very much fun and useful developments. SkyWarn/2001 was a16 bit and needs to be updated when I have time and Sight It! needs to be finished and released, again when I have time. My CATCC software for full Amateur Radio station control was way ahead of the OS and PC hardware of the day, now that they have caught up, once I get MARS-ALE done, I need to refocus on that development as well. For more information click here.